Megan Flynn is a self-proclaimed foodie and writer with dreams of a literary life. She has a master's in Children's Literature and an affinity for cultural studies, good food, caffeine, cute animals, dirty martinis, bookstores, and those first few weeks of autumn. Her hobbies include running, cooking, taking photos, crying over her favorite music, trying to keep her room clean, and blogging away at freckleditalian.com. She currently resides on Smith Mountain Lake in Virginia, where she drinks wine and works in the social media & mobile apps division of a software company in downtown Roanoke. When fall and winter come around with their chilly mornings and fog, I cling to old books. My Norton Anthologies from undergrad move from my bookshelf to my bedside table, and I flip through the bent and sometimes coffee-stained pages of my favorite novels from that time. Sometimes I don’t even read the whole thing; I just page through until I find a section with a lot of underlining or notes in the margins. It reminds me of the days when the majority of my time was spent reading, sharing clothes with my girlfriends, doing work in a library. But eventually it’s time for a winter with new books. So I’ve compromised this season, toting around three new ones with only one repeater. And I asked an old college friend to tell me what she’s reading right now, too. Atonement by Ian McEwan This is my nostalgic winter read of the year. Atonement very deeply conveys the power of writing. I love McEwan’s ability to tell me a story without being overly emotional and still make me feel more than some Nicholas Sparks novel would. I love that when I first read Atonement, Cecilia and I were both reading our way through Richardson’s Clarissa. It’s a book that will stay with you, and remind you of where you were in life when you first read it. Les Misérables by Victor Hugo I have literally been working on this book since June. The story is gorgeous, but I sometimes get lost in Hugo’s narration. I take breaks and read other things, which I think is fine, and people keep asking me why I don’t just put it down and forget about it. It’s so long, they say. I know that. But I started it because I thought that any novel that could inspire the songs from Les Misérables, the musical, was worth a try. And I haven’t felt like putting it down for good yet. I’m trying to finish it by Christmas, when the new film version comes out. Hey, I dreamed a dream! One of my smartest friends gave me this book as a gift, and I’m only twenty-five pages in, but when I close the thing I’m left with the feeling that I have no idea what I’m about to get myself into. I mean that in the best possible way—this novel is already beautifully mysterious and odd. 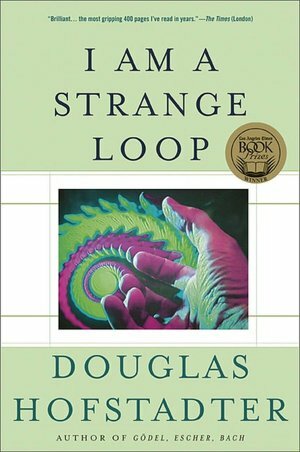 I Am a Strange Loop by Douglas Hofstadter The same professor (my absolute favorite ever) who had me read Atonement and Clarissa in one semester also recommended this book to my class. An English professor with a Ph.D. in British Literature, he said that every year he tries to read something from outside his field in order to see things with an open mind and stay sharp. Although not rocket science, I thought that was amazing. Right now, you’re listening to a woman who had so much trouble with math in school that she shies away from basic addition and subtraction, and certainly doesn’t make time to try to tackle algebra head-on. Hofstadter addresses the idea of what we mean when we say “I”—is it even real? Is it just a state of consciousness? His writing is more accessible than I anticipated and he tells great stories. Never mind the fact that I bought my copy three years ago and am only on chapter four. I’ll get to it with a bit more energy soon, perhaps once I’m done with Les Misérables. And as a bonus, here is a suggestion from my dear friend Emily, a 9th grade English teacher. When Emily suggests a book, I always pick it up. The Paris Wife by Paula McLain This book deliciously tells the story of Ernest Hemingway and Hadley, his first wife. Although this is a fictional account of their marriage, the novel is meticulously accurate on all major plot moments and was clearly written after much research. Readers will be re-introduced to familiar names such as F. Scott, Gertrude Stein, and Ezra Pound as Hadley and Hemingway drink their way around a glittering Paris in the 1920s.